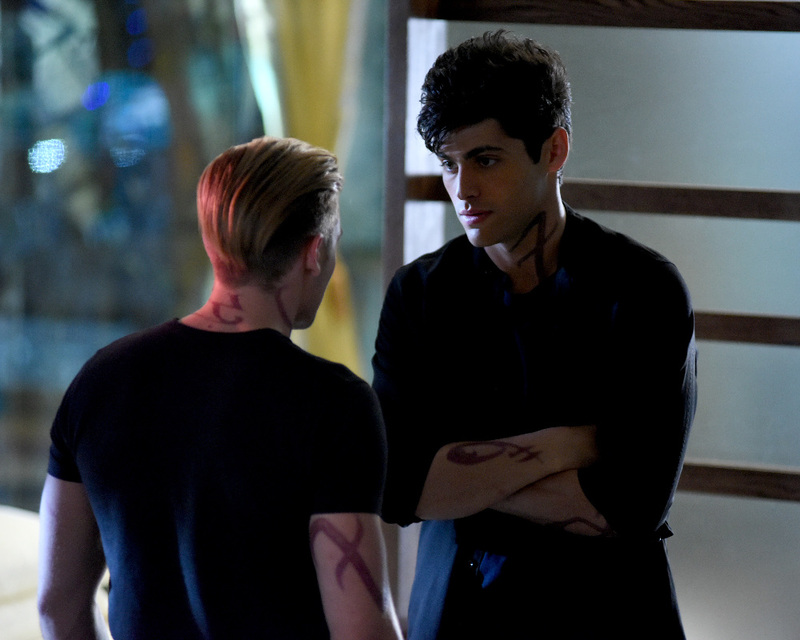 ABC Family/Freeform has released a ton of promotional photos for the eleventh episode of Shadowhunters titled “Blood Calls to Blood,” which airs March 22. In “Blood Calls to Blood,” Clary and Jace attempt to rescue Jocelyn with the help of a new ally. SHADOW HUNTERS – “Blood Calls to Blood” – With the help of a new ally, Clary and Jace attempt to rescue Jocelyn in “Blood Calls to Blood,” an all-new episode of “Shadowhunters,” airing TUESDAY, MARCH 22 (9:00-10:00 p.m. EDT) on Freeform. (Freeform/John Medland) HARRY SHUM JR. SHADOW HUNTERS – “Blood Calls to Blood” – With the help of a new ally, Clary and Jace attempt to rescue Jocelyn in “Blood Calls to Blood,” an all-new episode of “Shadowhunters,” airing TUESDAY, MARCH 22 (9:00-10:00 p.m. EDT) on Freeform. (Freeform/John Medland) MATTHEW DADDARIO, HARRY SHUM JR. So according to IMDb the guy in the photos talking to Luke and fight training with Jace is Michael Wayland. I have no idea how the script is going to go around the fact that he is alive. Unless they try to say that he is Jace’s uncle or something. He could also be Valentine. Remember Lydia’s entrance. Michael Wayland? Doesn’t Jace think that he was raised by Michael Wayland?